The Pierce City Eagles defeated McAuley Catholic on the Tuesday, February 20th. Leading scorers for the eagles were Trey Sagehorn(20), Donell Kleiboeker(16), and Hunter Tindell (14). The Eagles play College Heights on Friday, February 23rd at Pierce City with the tip starting at 6:00PM. 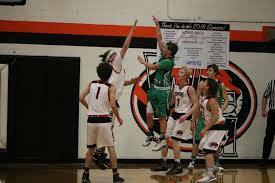 The other District 12 game will be played at 7:30PM Purdy vs. the winner of the Sarcoxie and Thomas Jefferson game being played tonight, also at Pierce City.